Jorgan Cavanerio does not have any MLB stats for the season. April 2, 2019 RHP Jorgan Cavanerio assigned to Arkansas Travelers from Tacoma Rainiers. 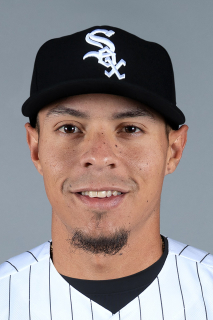 January 24, 2019 Seattle Mariners signed free agent RHP Jorgan Cavanerio to a minor league contract and invited him to spring training. January 24, 2019 RHP Jorgan Cavanerio assigned to Tacoma Rainiers. November 2, 2018 RHP Jorgan Cavanerio elected free agency. May 23, 2018 RHP Jorgan Cavanerio assigned to Jupiter Hammerheads from Jacksonville Jumbo Shrimp. April 3, 2018 RHP Jorgan Cavanerio assigned to Jacksonville Jumbo Shrimp from Jupiter Hammerheads. March 25, 2018 RHP Jorgan Cavanerio assigned to Miami Marlins. October 9, 2017 RHP Jorgan Cavanerio assigned to Tiburones de La Guaira. May 15, 2017 Jupiter Hammerheads activated RHP Jorgan Cavanerio from the 7-day disabled list. April 15, 2017 Jupiter Hammerheads placed RHP Jorgan Cavanerio on the 7-day disabled list retroactive to April 15, 2016. February 27, 2017 RHP Jorgan Cavanerio assigned to Miami Marlins. April 7, 2016 RHP Jorgan Cavanerio assigned to Jupiter Hammerheads from Greensboro Grasshoppers. August 12, 2015 RHP Jorgan Cavanerio assigned to Greensboro Grasshoppers from Jacksonville Suns. August 9, 2015 RHP Jorgan Cavanerio assigned to Jacksonville Suns from Greensboro Grasshoppers. July 16, 2015 RHP Jorgan Cavanerio assigned to Greensboro Grasshoppers from Jupiter Hammerheads. July 2, 2015 RHP Jorgan Cavanerio assigned to Jupiter Hammerheads from Greensboro Grasshoppers. May 9, 2015 RHP Jorgan Cavanerio assigned to Greensboro Grasshoppers from Batavia Muckdogs. June 13, 2014 RHP Jorgan Cavanerio assigned to Batavia Muckdogs from GCL Marlins. June 17, 2012 RHP Jorgan Cavanerio assigned to GCL Marlins from DSL Marlins. May 28, 2011 Jorgan Cavanerio assigned to DSL Marlins. February 16, 2011 Florida Marlins signed free agent RHP Jorgan Cavanerio to a minor league contract.